Before you read on though, take a look at this little film I made of the residence just to set the scene…. For the wedding couple its just perfect. The registry office for Nottinghamshire County Council is directly beneath the apartments on the ground floor with two ceremony rooms accommodating 20 & 60 guests respectively. Modern and Luxurious with each apartment having a substantial amount of space, its the perfect place to house family and friends with the added bonus of attractive rates to suit a range of budgets. Now from any guests point of view, be it the bride, groom or family & friends, there is only one word…WOW. It really is luxury. We were greeted by Lauren who was absolutely lovely. She gave us the grand tour of Holmes Room (named after the caretaker of the hall) where we were staying and then a sneaky peak round a couple of other rooms and I was really blown away. I would describe the venue as a boutique apart hotel and personally would be super impressed if someone was to say I was staying there for their wedding. As a mother of a small child I immediately thought this is a spacious accommodation. There is plenty of room for the kids to bring toys to play with and dare I say run about. Opting to sleep in their own room, watch TV or a DVD, hell I could watch a DVD come to think of it, Bridesmaids perhaps? It’s just a perfect space. Treated to the choice of two bathrooms I opted to have a lovely shower in the en suite of the master bedroom which was heaven, who doesn’t love a power shower especially when its in peace and quiet! Beautifully decorated by Carl’s wife Lisa and friend Shelia Collington, in colours that remind me of a Farrow and Ball paint swatch, it has an air of calm and serenity which if you are a bride is super important for that downtime required before and after the big day. Relaxing in the living area there is an open plan kitchen equipt with all the necessities you would need to cook with and make a brew. The is an iron and ironing board and other bits and pieces which make it feel like a home from home, its kinda all there. You literally just need to bring the clothes your wearing and your laughing. Going back to the space issue it’s great place to get ready the morning of the wedding, if like me you have a few bridesmaids and a frantic mother of the bride getting ready, as well as yourself, you would need somewhere to go where you are not getting stressed and in that respect its easy to take yourself off to your own room close the door and have that moment of peace. THE AREA of West Bridgford reminds me of Beech rd in Chorlton quiet trendy ( there is an Oliver Bonas dont ya know!) with a cool vibe, locally this area is renowned as ‘the posh part of Nottingham’. As you turn on to the main high street there are a few things that hit you. The cute bars and restaurants, the proximity of the the hotel to the main street is literally minutes in walking distance from the residences. The park has the greenery and open spaces, it even has a tennis court with a lovely play area which would keep the mini guests attending your big day occupied ! In terms of “things to do” locally, if you have guests staying there for the weekend the hotel is conveniently located near Trent Bridge Cricket Ground and the Nottingham Forest Football Club perfect for the sporting fans as well as the Intu shopping, art galleries and museums. They cater not just for dining but for events too and this would be the perfect location to hold your wedding breakfast after the ceremony. The service we saw was second to non, we saw the staff chatting to locals and new visitors alike offering friendly banter which was lovely to watch. The ambiance of the restaurant made us feel comfortable from the get go. We were greeted by Gabby who lead us to our seats next to the window “the best seat in the house”. The evening started with a cheeky Kir Royal, fruity and sweet this is my kind tipple and got the evening off to a fine start. My husbands favourite soup of all time is French Onion Soup at £ 5,75 the rustic French onion soup is served with a sourdough croûte and melted Comté cheese. He did say it had a nice balance between the onion and the saltiness of the cheese. I ordered the special which consisted of Artichoke and Goats Cheese Tartine at £6,50. This was described as chargrilled sourdough bread with soft goats cheese, roasted baby artichokes and black olive tapenade. I very rarely eat Artichoke so it kinda peaked my interest to try, and it delivered in all aspects of taste and textures. I love Lamb and this Rump of Lamb came in at £15,95 described as a seasonal rump of lamb with Jersey Royal potatoes, English asparagus and mint Hollandaise it was pretty awesome. Cooked to perfection for me, not too bloody it melted in my mouth as I ate it. It was a really good portion size and it was nice to be served with potatoes for a change instead of chips. All of the steaks are from 30 day aged grain fed cattle and served chargrilled with frites. The 10oz Sirloin Steak my husband had came with a Peppercorn Sauce for an extra £1,95, green peppercorn made with cognac and cream and we ordered an extra side of French beans for £2,95 which I think it needed. Minutes it took to eat = T- less than 10!! it must have been so good because the boy cleared the plate….ha! I’m a sucker for a dessert so when I saw this on the special menu I did not have to look further. The Crêpe Chantilly priced at £5,50 came with fresh Strawberries and Chantilly cream…….YUMMY, s’all I’m saying! The savoury to my sweet the hubby chose the cheese platter at £6,75 this came with Roquefort, Reblochon and Comté served with a decent serving of rustic bread ( a bug bear of mine is when you hardly get any bread….urrgh annoying) and grapes. This was a lovely end to the meal and finished it off perfectly. For the morning after the wedding I would highly recommend heading down to Escabeche a tapas bar and restaurant which we described as “Taste of Spanish sunshine in West Bridgeford ” – stole that from the hubster but I liked it as it is exactly that. The lovely Holly served us our breakfast brunch and was there to greet us upon arrival. Now I must confess the beds at the residences are that comfy we overslept somewhat …oops, but this was no trouble for these guys, again sat near the window it was a beautiful morning and the sun was shining. They say ” You can enjoy barista brewed coffees which use beans toasted just a few miles away by our friends at 200 degrees. If you’re looking to start the day properly, try our hearty breakfast completo(£9.95). If you’d like something lighter, there’s amazing jamon eggs, catalan bread & manchego and a selection of freshly prepared, stone-baked flatbreads that we promise you’ll love” which we did and we loved. The hubby had the full Escabeche breakfast (£8,95) which consisted of your style of eggs, sausage, dry cured bacon, mushrooms, patatas, chorizo, tomato, grilled ciabatta. I must admit it look super tasty but I decided to opt for something a little different by ordering the the “Breakfast Completo” which included any breakfast accompanied by a hot drink and fresh juice. This included sampling the Escabeche flatbreads ( £7,50) the folded flatbread was freshly prepared & stone baked to order served with a side of patatas bravas. I ordered the sausage & dry cured bacon but you could also go for the dry cured bacon & egg or the chorizo & egg. I really enjoyed it and this is a breakfast game changer. It was tasty and filling but was not as sickly as a full english breakfast can sometime be which sometimes I do find, I think this was mainly because it was light and not over facing. I enjoyed the patatas bravas but didn’t think it was needed, I managed to still wolf it down though, this maybe because I am not used to having it at this time of the morning however the spicy tomato accompanied by both dishes had a really nice flavour, not too sweet, this complimented both the full english and the flatbread. So to summarise about our stay in West Bridgford I would give it a massive thumbs up and five gold stars. Many thanks to Carl Bridge for the invitation to review and his team for making us feel so welcome, this made our stay all the more enjoyable. This only reinforces their reputation of offering great customer service and with the wedding booking coming in thick and fast you may want to contact them for more information. I did peruse the Oliver Bonas shop after an epic brunch, who wouldn’t, and had a mooch up the high street, there was a little market going on and I noticed some other lovely bars and restaurants. Finishing with a few cheeky beers at The Parlour on the Friday night, which we really enjoyed (and managed to get a seat…bonus!) there is plenty to do here for all wedding guests, young and old and of course the wedding couple. 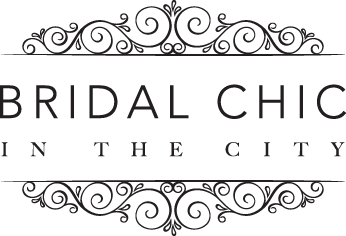 We hope you enjoyed reading our blog today and if you have experienced the residence or the restaurants and can offer any tips about weddings in West Bridgford please let us know and comment below. For more information contact The Birchover Residences here. For restaurant reservations at Cote contact here. Images from the Cote Brasserie media pages. For Reservations at Escabeche contact them here. Images from Escabeche media pages.